Finally found some time to update my super outdated figure review library last week. 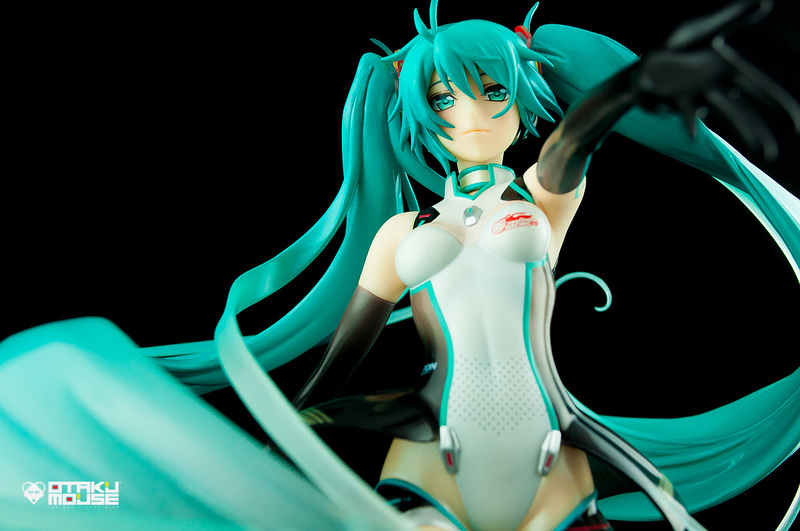 In this review, we are going to take a look at Good Smile Company’s 1/8th scale figure rendition of Hatsune Miku “Racing 2011” version. Already had this figure for quite some time now and she’s one of my favorite Miku figures in my collection. 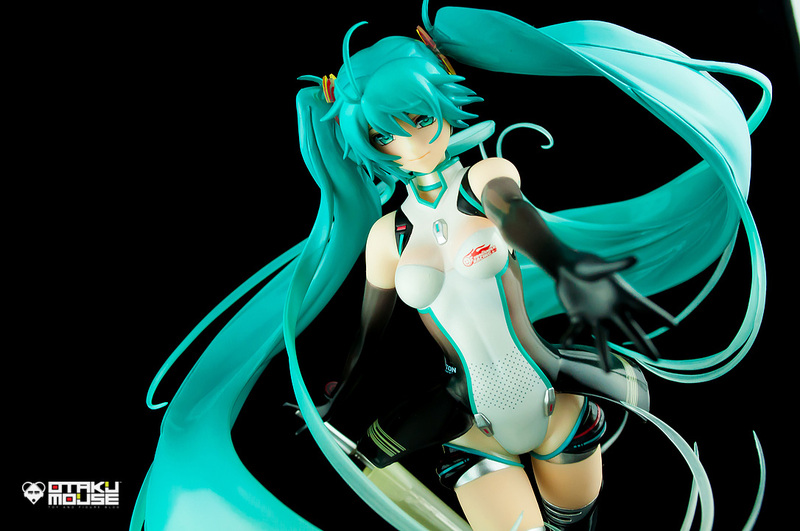 Figure was originally released 2 yrs ago and was the 2nd “Racing Miku” figure based on “Good Smile Racing” – GSC’s sponsorship brand in the Super GT racing series. 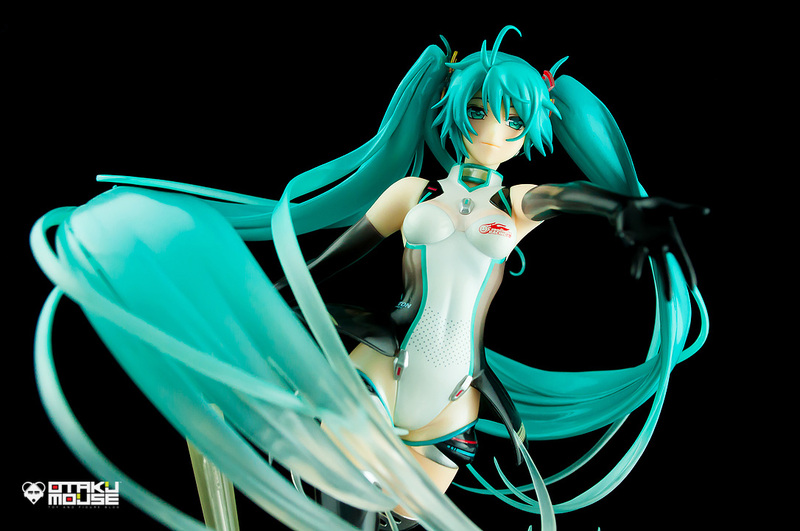 The “Racing Miku” figure series started in 2010 and has been a main stay in GSC’s product line since then. 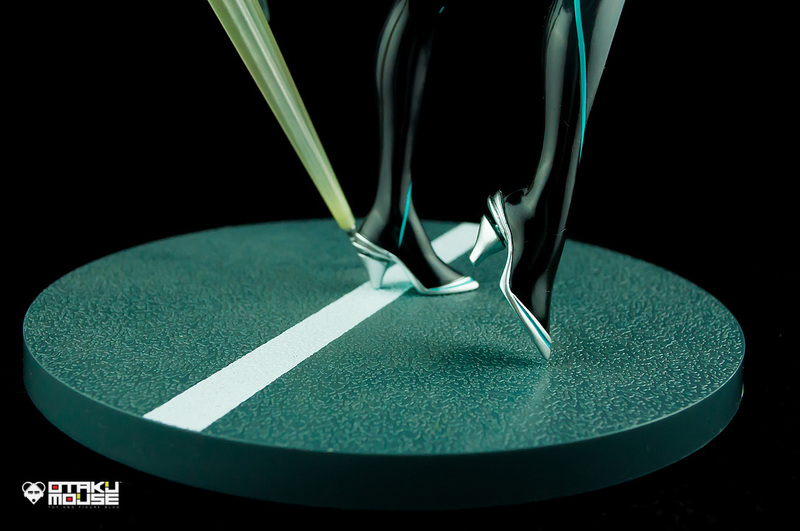 Every year, GSC releases a new concept illustration of “Racing Miku” which in turn transforms into a scale figure after a couple of months. 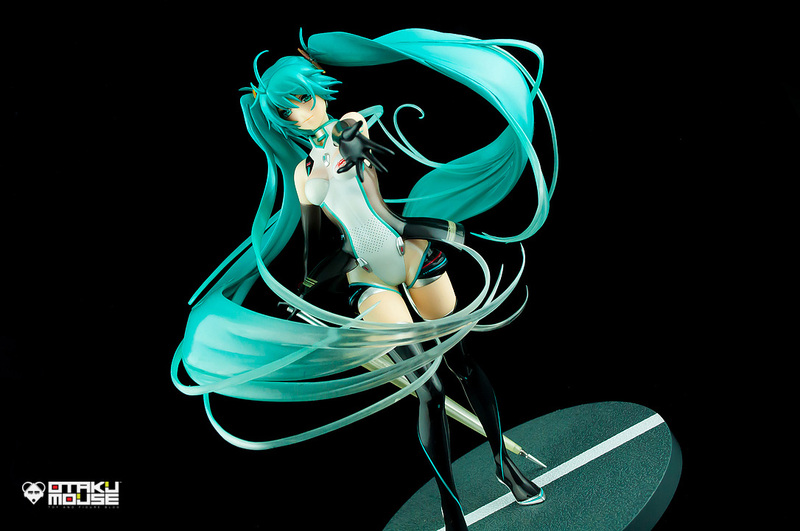 So far, 4 “Racing Miku” figures have been released – “Racing Miku 2010”, “Racing Miku 2011” (this one), “Racing Miku 2012“, and “Racing Miku 2013“. 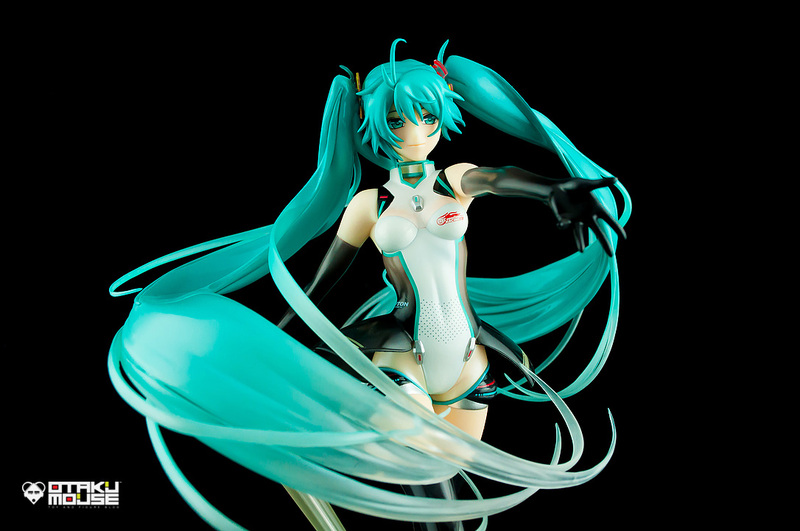 The 2014 “Racing Miku” was also announced and the figure was showcased in the recently held Wonder Festival 2014: Winter. Figure looks really good and it’s scaled at 1/8. 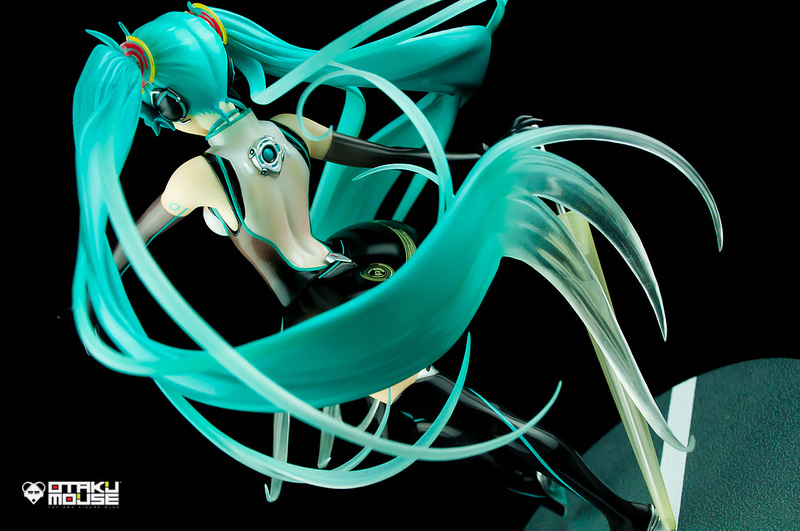 This figure is also quite unique in terms of design and Miku’s overall appearance. We are used to seeing Miku as a young and cheerful character which is her standard design from the start. 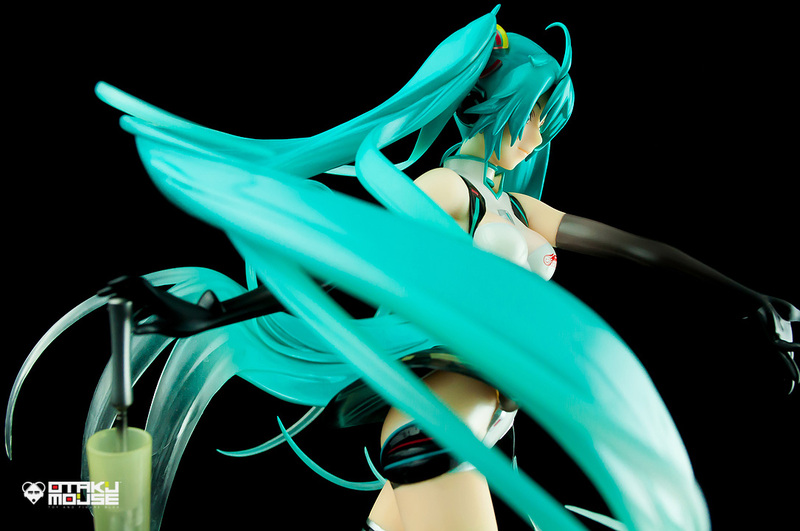 But this Miku figure has a more “mature” feel to it. It’s like she’s in her 20’s or something. You can clearly see it in her face and bodily curves. 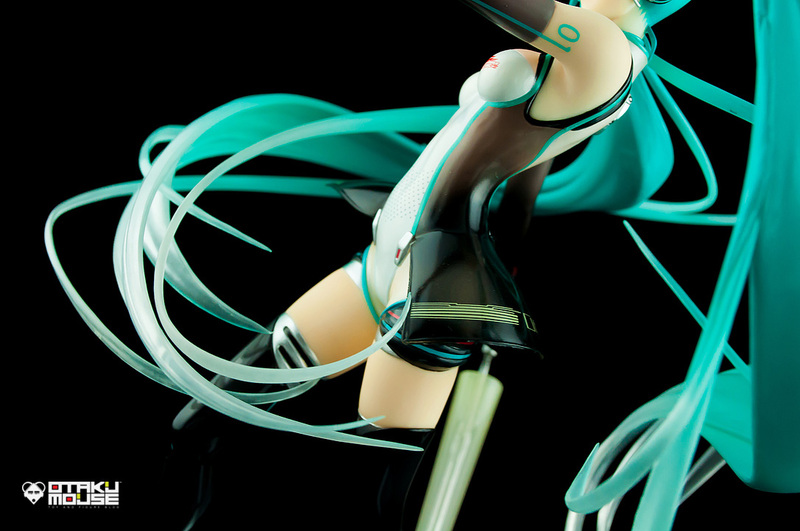 This design direction is definitely a breath of fresh air since most Miku figures are always portrayed as young girls. As expected from GSC, the figure was very well made. The overall sculpt is great and the vibrant paint job was perfectly implemented. 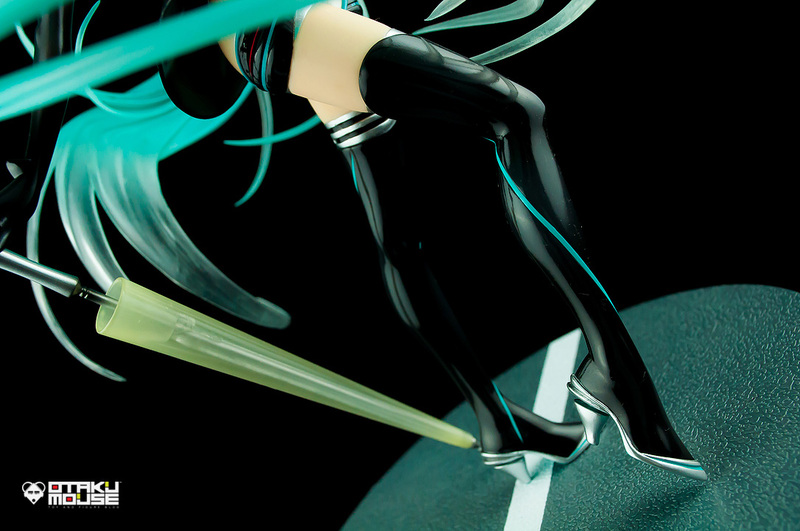 The combination of “black” to Miku’s signature “turquoise” color palette adds contrast to the entire figure making it even better. One of important aspects of Miku as a character was her “twin tails” and GSC did an awesome job on that one. I just love the dynamic behavior of her hair in this figure. The way it flows and wraps her body is just amazing to look at. There’s also this little paint technique they applied on Miku’s hair. You’ll notice that her hair starts opaque from the top end and then gradually becomes translucent at the bottom. Watch out with her hair though as they’re quite brittle. 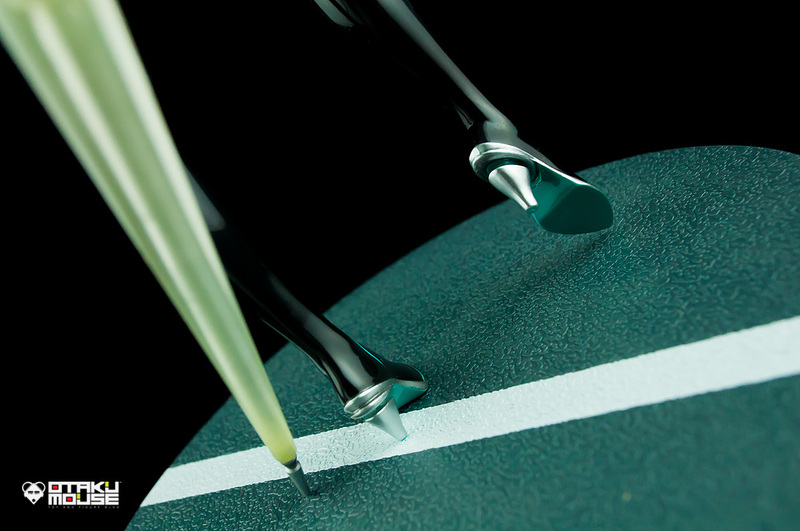 You can actually break it if you’re not careful – specially the sharp points at the end. 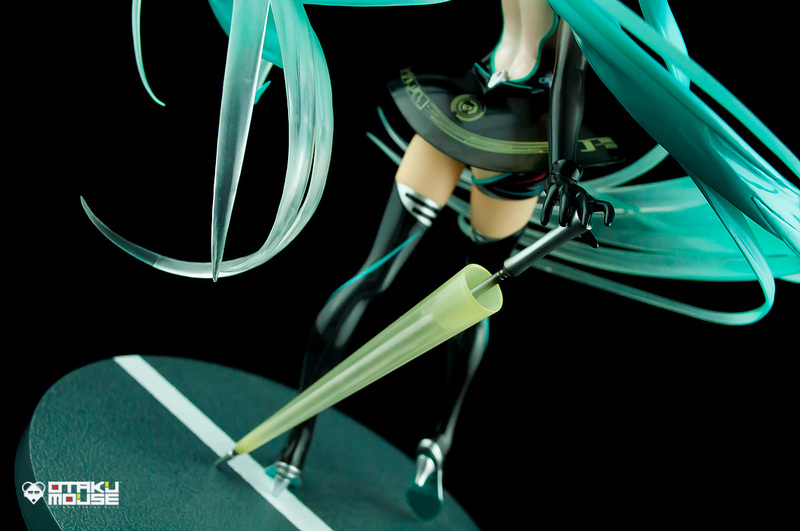 When it comes to Miku’s pose, we see her standing on top of an asphalt like base holding an umbrella. It’s similar to the racing girls in real life posing in front of the media and the audience before the actual race starts. Her pose is actually simple if you’ll think about it. But because of her hair, becomes more interesting. I do find her umbrella accessory problematic sometimes since it always falls down making it a bit difficult to move as you always have to re-attach the umbrella into place. Miku’s outfit is more on the “futuristic” side of things. It’s actually super tight accentuating her womanly curves. Yep – “womanly”. 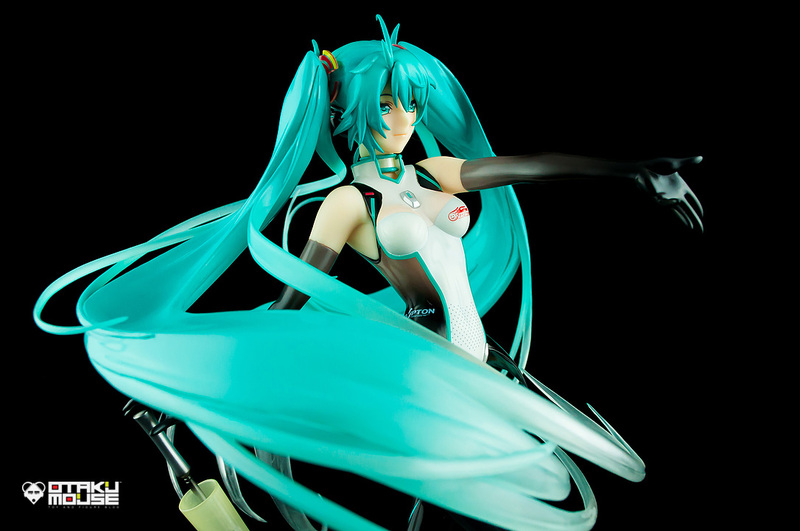 I think this is only “mature looking” Miku in the market (correct me if I’m wrong here) and really hoping for more “mature looking” Miku figures in the future. Her outfit looks really great. It has both matte and gloss paint finish combined with some metallic silvers and pink accents across. I personally love her boots (if that’s what you call it). You can also see some micro decals scattered around the figure which is still perfectly clear and readable despite its size. Her base is made out of plastic but at least they applied textures in it. 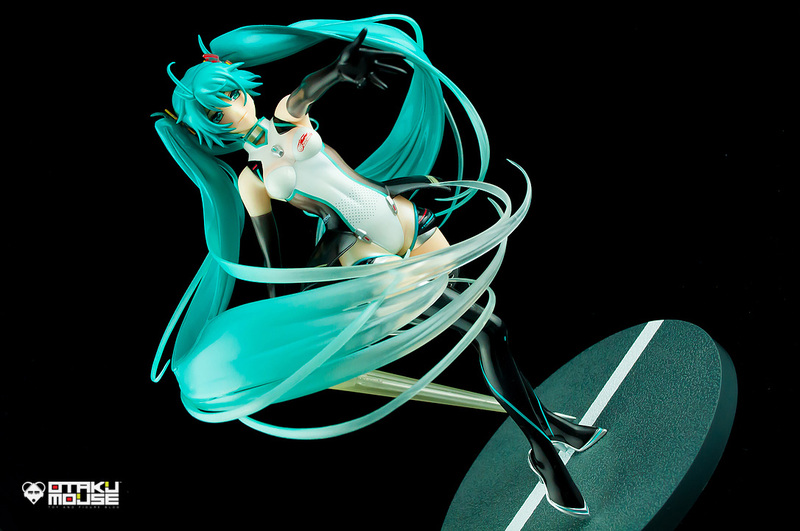 The base was designed so it looks like Miku is standing on the race track. It looks pretty convincing in my opinion and much better than the standard plain looking base we see in most figures. The base has this almost “microscopic” hole that will support the umbrella in place. It is where the pointed part of the umbrella will go. As much as I want to criticize the figure, I just can’t find any negative things about it. 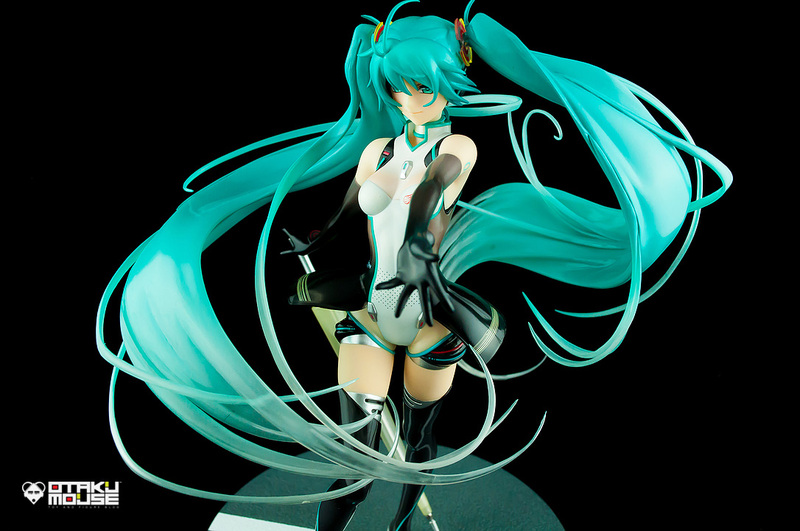 It looks really great and I consider it as one of the best looking Miku figures out there. 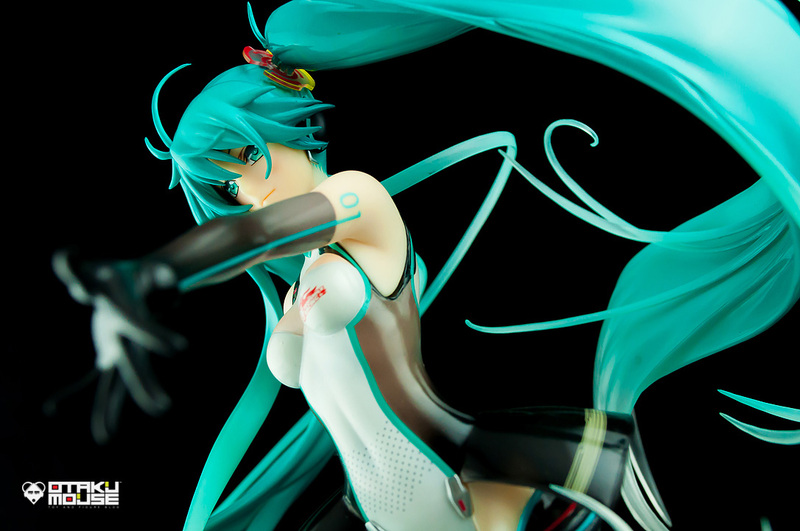 It looks even better than the Racing Miku 2014 version coming out this year (IMO). This figure has been long released but I would still recommend it just in case you still find it available in your local hobby stores. Hope you like the pics! Hatsune Miku (初音ミク) is a Japanese VOCALOID developed and distributed by Crypton Future Media, Inc., and was initially released in August 2007 for the VOCALOID2 engine. It is part of the Character Vocal Series. There has since been numerous installments such as additional voice banks dubbed 'Append', as well as an upgrade to the VOCALOID3 engine, which includes her long awaited English vocal release. She was the first release for Crypton's VOCALOID Character Vocal Series, the third Japanese VOCALOID, and the seventh VOCALOID to have been created overall. She is considered the most popular and well known VOCALOID and the first to become a pop idol. Her voice is provided by the Japanese female voice actress, Saki Fujita (藤田 咲, Fujita Saki). Since the 2008 season, different teams in the Super GT racing received their sponsorship under Good Smile Racing, and turned their cars to Vocaloid-related artwork. Hatsune Miku's design has been adapted into a Racing Queen version for each seasons since 2010. The designs are offically acknowledged as "Racing Miku" (レーシングミク) derivative and are based on Miku's attire. 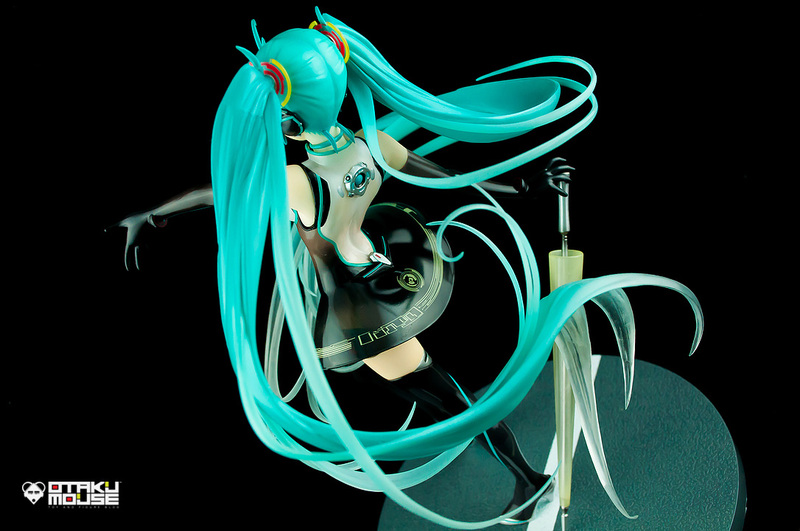 The 2009 derivative is the only version of the Racing Miku derivatives which did not have an official illustration featured based on her, though it was featured in merchandise for that season. 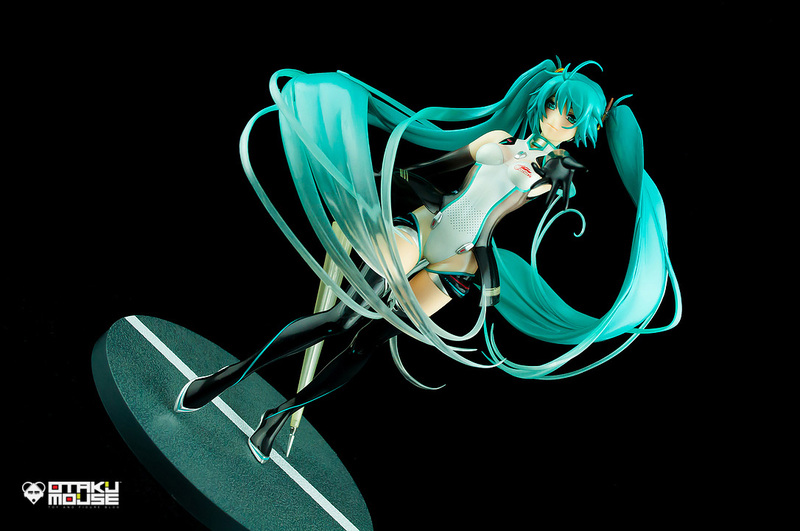 The unveiling of the Racing Miku derivatives only became a feature from the 2010 season onwards. 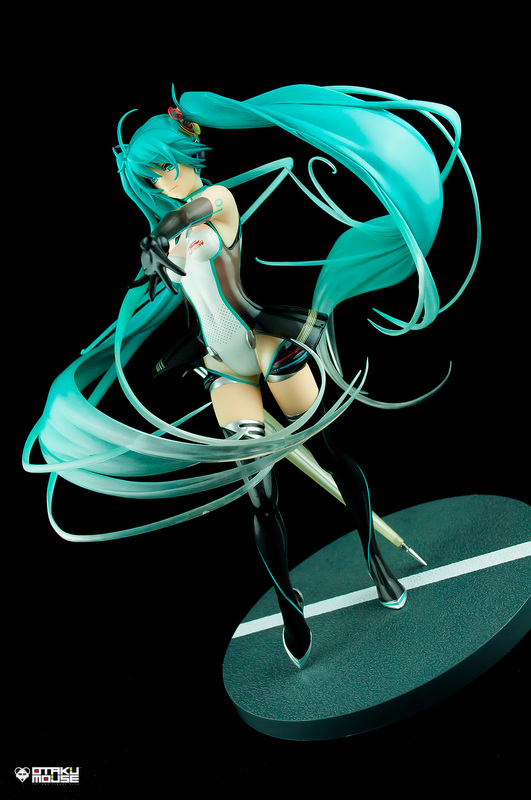 All merchandise related to Good Smile Racing featuring Miku prior to the 2010 season, with the exception of the 2009 Racing Miku figurine, features Miku in her normal attire. The 2008 season remains the only season where other Crypton Future Media Vocaloids (Kagamine Rin Len) on a Good Smile Racing related car. In 2013, Miku also was featured with racing outfit in the Isle of Man motor cycling race, for this race Team Mirari were sponsored. 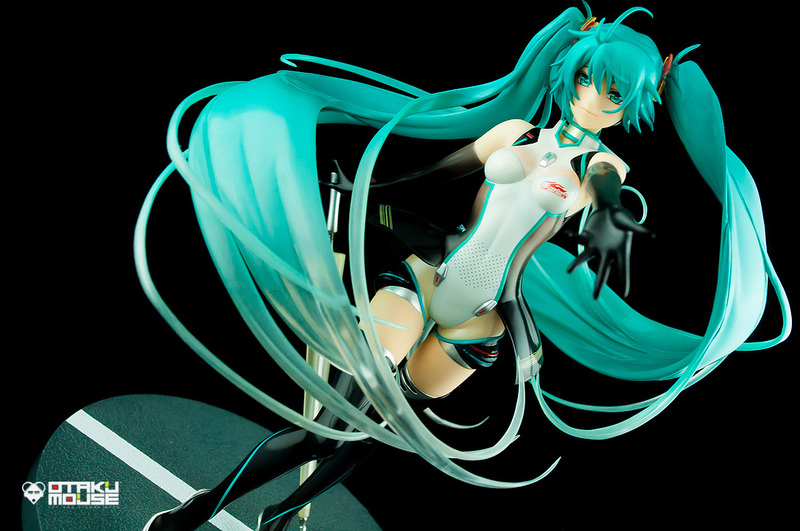 Miku also recieved a "Sepang" version showing bare toned skin as part of showing good health and promoting the design as "the Angel of summer"